Happy 4th of July! We are so excited to announce our next giveaway hosted by Shabby Apple! We giggled endlessly when they contacted us about the giveaway and we couldn't wait to share it with you. 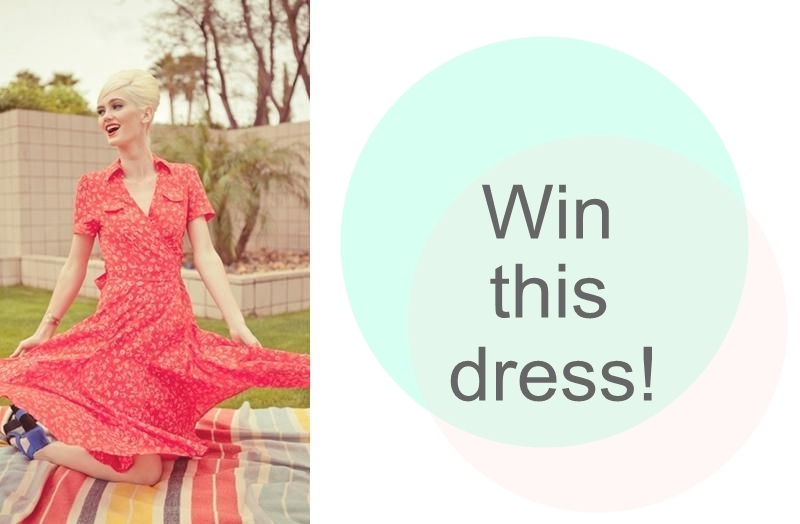 Shabby apple is offering one of our lovely readers the chance to win this adorable dress. We love so many of their items and wish we could afford all of them for our closets! To enter: Check out some of Shabby Apple's other vintage clothing and pick your favorite! Leave a comment with your favorite, make sure to follow us on bloglovin', and leave you email so that we can get in touch with you! We will announce the winner on July 15th. I adore the Mint Tea dress! 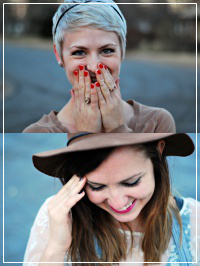 I also follow on bloglovin'. I follow on bloglovin...I love the cut the cake dress...so cute! Hooooooly schmokes. So cute! I didn't know about this line. Totally right up my alley! Of course they contacted you...you guys are adorable! Congrats on the give away, gals! I love the Raquet Club dress! Great giveaway :) My email is sarahsreallife at gmail dot com. I love the heart of me dress - but I love all of their wrap dresses! I adore the Alice dress! I don't use bloglovin', but I follow you w/ feedly. Melancholy dot smile at yahoo dot com. I love the Soul Mate dress! I follow you on Bloglovin'! The Red Queen dress is my choice because red dresses are my favourite! Love them all, but especially the Alice dress! Love the swimsuits, especially the crane and the deckwork. So cute! My fave is the Bellissima. So many cute outfits, but I like the Meant to Be dress - gorgeous color and cut!